Star Wars: The Force Awakens has just broken $1 billion dollars at the box office, and it isn’t even two weeks into its theatrical run. The seventh installment in the highly regarded sci-fi franchise passed the billion dollar mark this Sunday, the fastest any film has done so in just under 12 days. The film to hold the record before that was Universal’s Jurassic World, which grossed over $1 billion in the 13th day of its release. It’s no surprise that Star Wars is doing so well financially. The series as a whole has grossed more than $4 billion globally, with the highest grossing film before The Force Awakens being the very first Star Wars, which also grossed over $1 billion after being adjusted for inflation. Tie that in with the fact that this is the first live-action film in 10 years that also acts as a sequel to Return of the Jedi more than 30 years ago, and you have a film that was almost destined for success. With the massive anticipation building behind the film, I don’t think it’s a surprise to anyone that this film is doing so well at the box office. What is a surprise is how quickly it reached that success. There are currently 24 films that have crossed the billion dollar mark at the box office. Such titles include Avatar, Titanic, and The Avengers. None of those 23 films have reached that milestone that quickly. Some of them crossed the mark about halfway through their theatrical run, like Toy Story 3. Others barely skimmed by near the end of their run, like The Dark Knight. But none shattered the box office as quickly as Star Wars: The Force Awakens did. 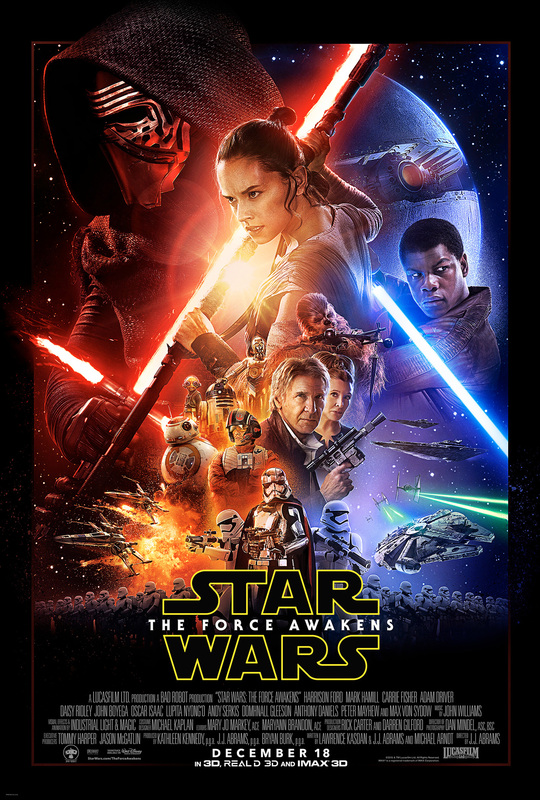 And as Dergarabedian said, The Force Awakens is also set for release in China on Jan. 9. It’s theatrical run is only beginning. There’s no telling where Star Wars: The Force Awakens can go from here. With as much popularity as it has amassed so quickly, it is very possible that The Force Awakens will go on to break many more box office records, even possibly breaking the $2 billion dollar mark alongside Avatar and Titanic. Where it will go from here depends on the love of the fans and the staying power of the force. In either case, congratulation to J.J. Abrams, Walt Disney Studios, LucasFilm, and the rest of the cast and crew involved with this wonderful film. You have certainly awakened something within many moviegoing audiences out there.